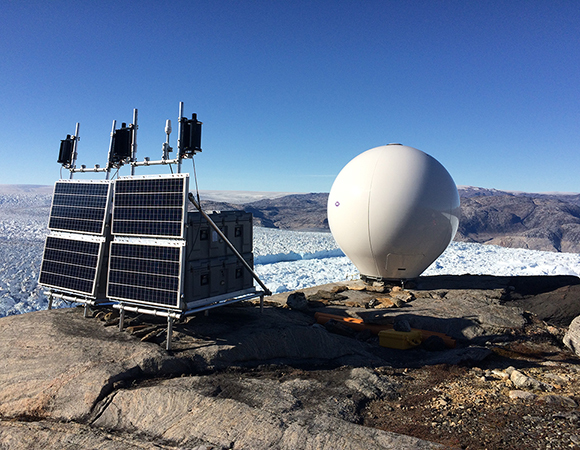 The UNAVCO polar services team developed a power system for three radar systems in Greenland for the summer of 2016. 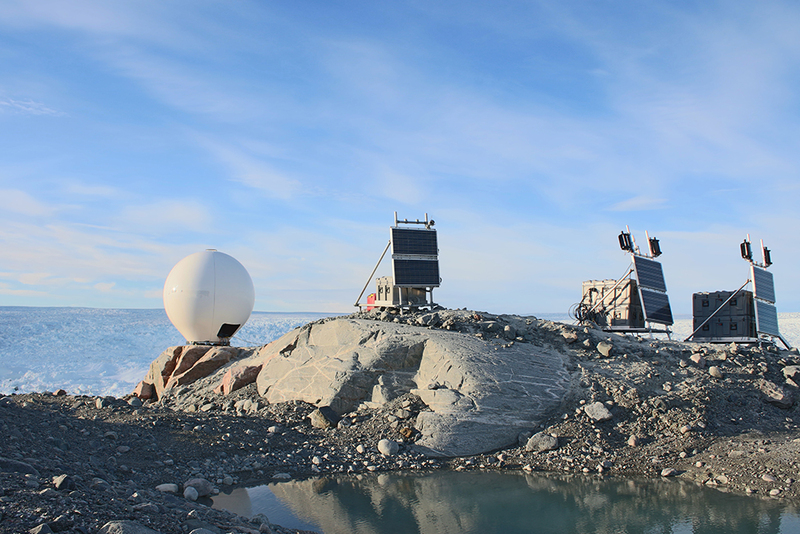 The radar was to scan, multiple times a day, the calving front of Jakobshavn Glacier on the west coast of Greenland, near Ilulissat, and Helheim Glacier on the east coast of Greenland, near Tasilaq. Jakobshavn Glacier was measured by one radar system, while Helheim Glacier was measured by two radar systems, one on each side of the glacier. The primary challenge of this project was to design a power system for a load much greater than the typical GPS/GNSS station. The radar required a 160W power system, as opposed to the 5W system designed for POLENET stations in Greenland. While the system is not designed to run through the winter, as do POLENET sites, it still requires twice the power resources. The power system delivers both regulated 12V and 24V to the radar via a bank of 40 100Ah batteries, as compared with POLENET's 20. The battery bank is charged by four 120W solar panels, as opposed to two 90W panels (POLENET) and four wind turbines, versus two (POLENET). Remote Iridium communications were also powered by the system. This project is part of an effort to monitor the calving of two important outlet glaciers in Greenland. Both Jakobshavn and Helheim Glaciers have substantially retreated over the past decade (e.g., Joughin et al., 2004; Howat et al., 2005). 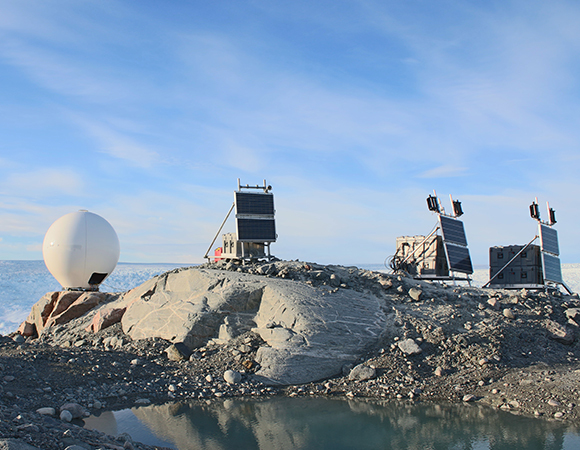 The radar was installed to scan the front of the glaciers, and monitor the ice loss. Processed data will help understanding calving processes. Both sites operated successfully through summer 2016, despite challenges. The Jakobshavn Glacier site suffered from a defective solar charge controller, which burned after 10 minutes of operation. With remote support on rewiring, the field team replaced it with the wind charge controller, which operated effectively for the rest of the data collection period.